Hi, this is the blog for tour operator Ascot Golf. Here you’ll find details on our great new offers as well as comment on the golfing world. Enjoy. Welcome to the fantastic 2019 New Year SALE at AscotGolf.com! Tenerife Spain offers year round Golf & sunshine with Early Season savings at Melia del Conde for Half Board, Unlimited Golf stays. Upgrade to Club Rooms at Melia del Conde to allow for Sea Views, All-day drinks, evening canapes and complimentary Airport Transfers! PGA Professional Stay & Play for FREE with 7 paying golfers for warm weather training! The Ritz Carlton Abama also offers superb value for Early Booking for Summer 2019 with Unlimited Golf, Half Board Dine-Around & Car Rental packages from April 22-October 18. Optional upgrades include the exclusive Tagor Villas and Club Ocean View Rooms offering all-day hospitality. In Costa Brava, the 5-star Hotel Camiral offers FREE Golf Buggies for Groups of 8 visiting before March 10, with golf at two of Spain’s best courses – the Stadium and Tour at PGA Catalunya. La Manga Club has also released New Year Specials for 4-night packages for visits until February 28 staying at the Hotel and for for 4 night stays at Las Lomas Village until April 2. Golfers booking La Manga for 5-7 night stays in 2019 qualify for €100 Resort Vouchers (per room) for bookings received by January 31. And, in Costa del Sol the recently renovated Kempinksi Bahia Estepona allows for a complimentary Welcome Dinner for each visit before February 28 which may be combined with FREE Car Rental for 7 night stays until March 31! At Vista Real Apartments, Alcaidesa, golfers in January receive FREE Buggies valid for the first round each day on Unlimited Golf packages. At Islantilla just 45 minutes from Faro Airport, golfers receive FREE lunch with every round in March/April 219 including a choice of beer or wine! In Portugal, Dom Pedro Vilamoura offers golf inclusive rates with play on the partner 5 golf courses in Vilamoura, including European Tour venue Victoria Club and the ever popular Old Course. 2019 Offers include discounted rates from April 14-30 over the Easter season. 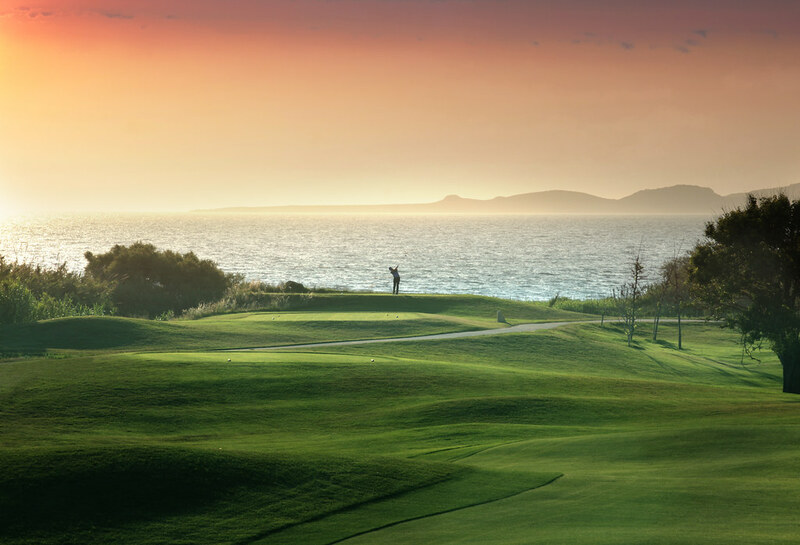 In Greece, Westin Costa Navarino includes a 5th Round FREE, FREE Golf Buggies and FREE Golf Club rentals for stays from Feb 16-April 11! Ascot Golf packages at Westin Costa Navarino also include Half Board dine-around. The Westin is located 30 minutes from Kalamata Airport. In Cyprus, Aphrodite Hills offers an attractive lastminute Unlimited Golf deal at PGA National, Cyprus for stays until January 26 and semi all-inclusive board. For Summer 2019 stays at Aphrodite Hills Hotel & Residences, early booking rates apply until March 31. Groups of 8 golfers also receive savings & extras with Ascot Golf! 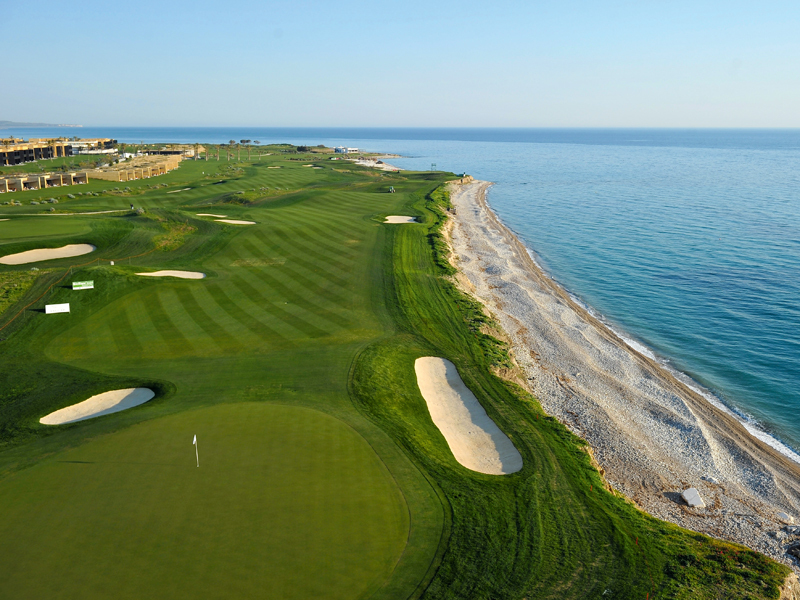 Unlimited Golf applies from June 1-September 15 at PGA National Cyprus. 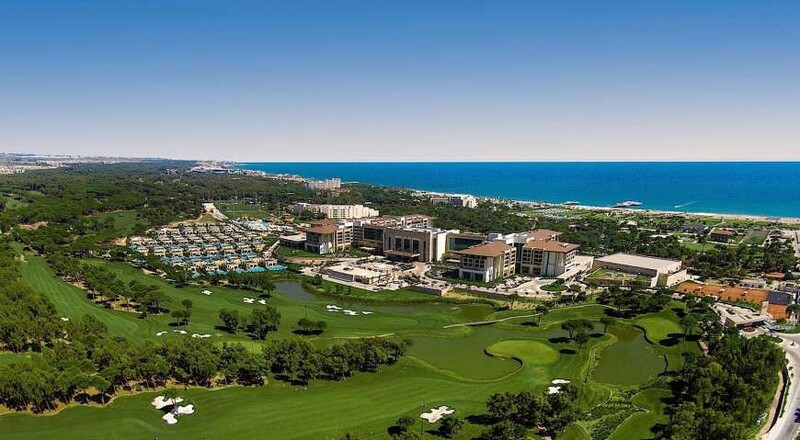 In Belek Turkey, prices are generally increasing for 2019 as golfers are returning in number to enjoy the fantastic golf and hospitality on offer. Gloria Golf Resort represents excellent value with 2 timeless golf courses and best rates for booking Summer Season until January 31. At Regnum Carya UK golfers enjoy a FREE Green Fee throughout 2019 for bookings received by January 31 when booking with Ascot Golf. In Abu Dhabi, Westin Abu Dhabi offers excellent value and convenience, located at the European Tour iconic golf course, Abu Dhabi National. Fairmont Abu Dhabi is nearby with FREE Half Board for early booking and an optional upgrade to All-Inclusive throughout the summer months. In Dubai Jebel Ali offers All-Inclusive packages including golf at the Resort’s own Jebel Ali 9-hole course – perfect for warm up rounds at the start of your visit to middle east. In the Caribbean at Punta Cana, Barcelo Bavaro Resort has reduced prices until the end of April 2019 and, The Westin Punta Cana offers incentives for booking 2019 before January 31, with the option to play both Corales and Punta Espada – ranked as No1 & 2 golf courses on Dominican Republic. With so many great offers available, contact Ascot Golf and let us know what suits your game for the new season. Wishing you great Golf and the very best for 2019. Welcome to 2018 and to some fantastic New Year Offers to make a head start on the new golfing season! The ever popular winter sun destination Tenerife features the No.1 Resort The Ritz Carlton Abama offering excellent early season incentives. 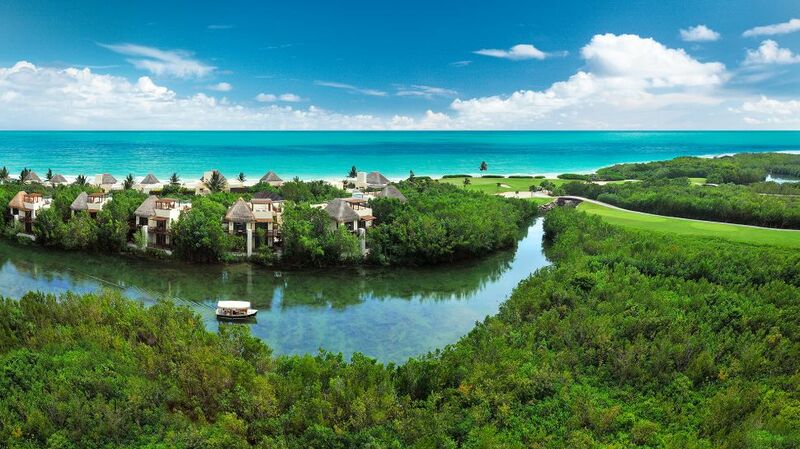 Unlimited Golf is available from May 1-October 19 with best rates for booking until February 28. In December 2018, 7-night packages allow for a FREE upgrade to Half Board. And, The Abama Repeater programme offers Room Upgrades and Resort Credits for regulars! On the mainland, La Cala Resort golf package rates throughout 2018 feature early booking discounts while stocks last. 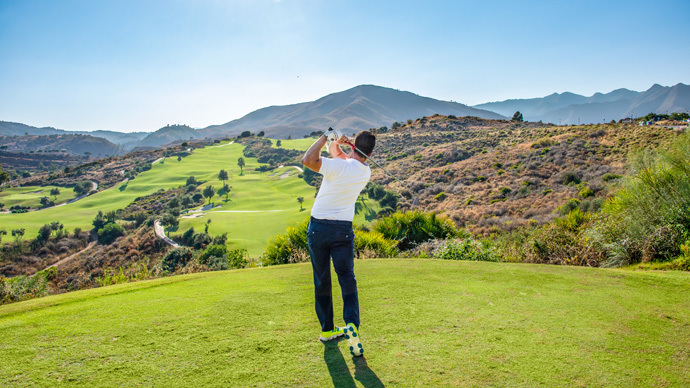 With a choice of 3 great golf courses, buggy inclusive rates, access to Spa and easy access from Malaga Airport, booking is recommended early to ensure availability, great tee-times and best rates. Group Leaders Stay & Play for FREE, with FREE Airport Transfers for selected dates. Mar Menor offers the Murcia Golf Trail, with a choice of 6 great courses and shuttle service from February 1. Early Season offers include FREE Half Board for February & April 2018 at InterContinental Mar Menor. 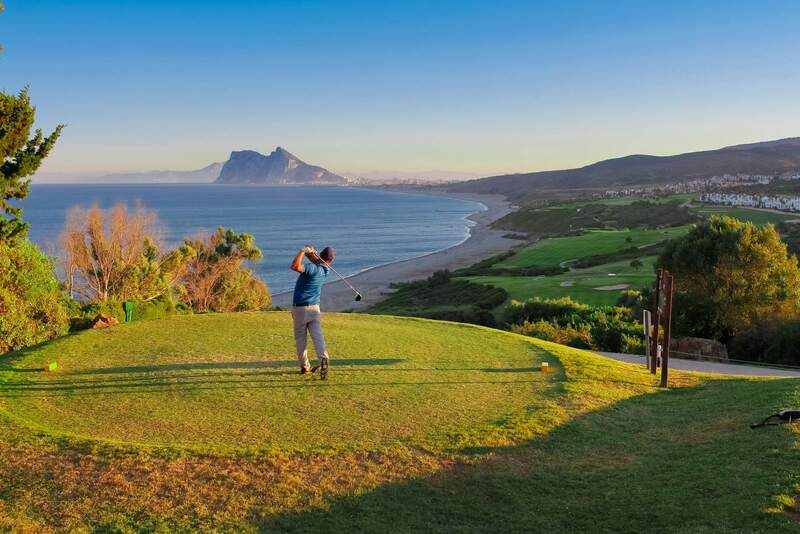 In Portugal, Praia del Rey now boasts 2 world class championship links golf courses, including the award winning West Cliffs as Best New Golf Course in the World, 2017. With a choice of Marriott Hotel or Residences, Breakfast Board, Half Board or Half Board+, Group Discounts and Free Replays, Praia del Rey offers an excellent destination for 2018! Closer to Lisbon, Quinta da Marinha has launched an aggressive New Year offer, with golfers receiving 2 FREE Evening Meals for every stay of 4 nights, and 3 meals for every stay of 7 nights, until February 28. In Sicily, European Tour venue Rocco Forte Verdura has extended an Early Booking offer for Spring 2018, until January 15 only. Packages include Half Board, with excellent a-la carte dining at Verdura. Further north in Puglia, The impressive Borgo Egnazia offers daily golf at San Domenico included with your room rate for 2018. Best rates throughout the season apply for booking before January 31. In Greece, Costa Navarino offers 5-star excellence at The Westin and Summer luxury at The Romanos, For best rates this summer, book by January 31. Access is from nearby Kalamata Airport (KLX). Mazagan Resort nearby Casablanca, Morocco continues to impress with Unlimited Golf, All-Inclusive Board and Airport Transfers. Low Season rates extend until March 23, and with Easter Specials & Summer Specials for Families also on offer. With so many great offers available, contact Ascot Golf and let us know what suits your game best for 2018. Wishing you all the best for the new Golf Season. The Masters 2017 has produced one of the finest Golf Tournaments of modern times. 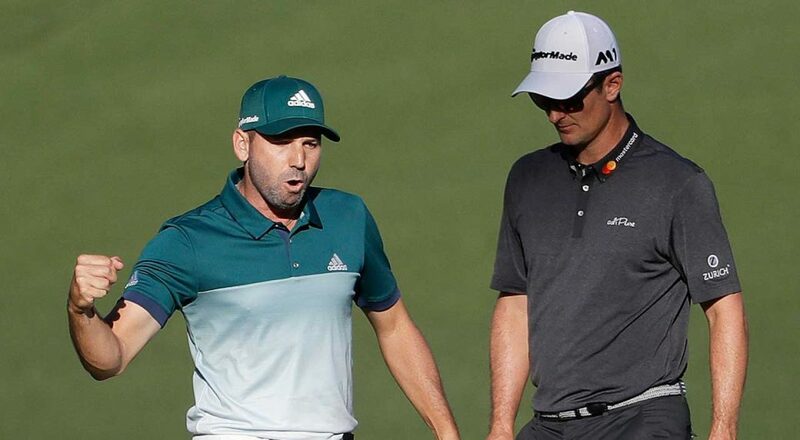 Sergio Garcia’s performance on Sunday transformed what appeared be an orderly and imperious victory procession of Justin Rose into a brutal battle around Amen Corner and extra holes. Sergio was down and almost out. His remarkable par-5 on the 13th hole resembled a prize fighter staggering to his feet with the aid of the ropes, and hanging on for the bell before staging an all-time comeback to victory through the remaining holes and playoff. Garcia holes for Par on 13! Rose’s play was so impressive and resilient through the Masters week, it is hardly fair to form any critique. However, his post tournament tweet “that while tournament golf is tough it remains just a sport”, appeared to be overshadowed by the super human exploits of Sergio that both illuminates and transcends the game. As Bob Paisley once said in football, “Football is not a matter of life or death.. it’s much more important that that”. Garcia holes for Masters glory! Golf, like other individual sports has in recent years become somewhat more of a team game, with at least a small entourage of coaches and family representing and cheering on their man from the players’ box or greenside. In Sergios “team” at Augusta was his finance Angela, his ever-present father, and his idol Jose Maria Olazabal. Ollie texted Sergio during Masters week to tell him to believe in himself and also with an invitation to share his own Champions locker at Augusta should Garcia prevail. Europe’s Ryder Cup Captain for the “Miracle at Medinah” spoke at that time that the Captain’s job is to somehow “reach the Players” and Ollie certainly reached Sergio during Masters week 2017. Sergios other idol of course is the late-great Seve Ballesteros, who would have turned 60 years of age on Sunday. Sometimes all the stars seem to align, and point in one special destination. Sport is not always fair, and in hindsight, Justin Rose must feel that the golfing gods were on someone else’s side. 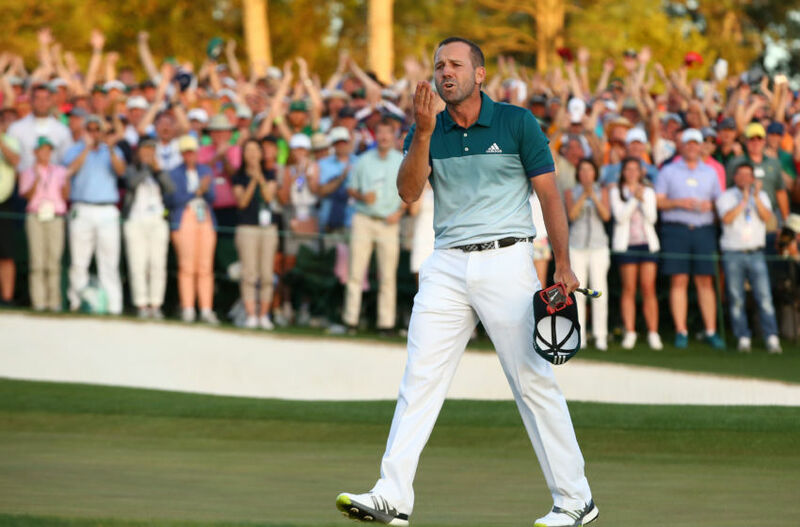 Sergio however still had it all to do, and he answered the call in the most spectacular of fashion, almost holing out for an albatross on hole 15 before rocking Augusta when his eagle putt dropped shortly after. From that moment on, Sergio had breached the defences of Rose, was in close and smelled victory. Augusta afterall is golfing theatre. Every hole is a masterpiece, technically and artistically. The supporting cast of players delight in taking part. Willett, Kaymer, Couples and Mickelson are all winners from the 2017 Masters, but there can only be one Champion. At Augusta, mobile phones are forbidden, as are big screens. 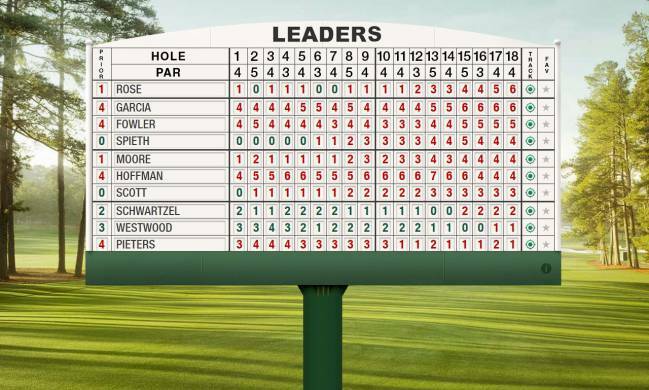 The “patrons” follow the progress of the players throughout the course on traditional wooden score boards, with any positive movements cheered in unison as the boards change numbers. Runner up Charl Schwartzel relayed after completing his round that Augusta was so charged on Sunday that roars from the 15th were off putting for his group finishing on 18! The patrons were rooting for Sergio on Sunday, with chants of “Sergio Sergio Sergio” ringing out as a soundtrack to Garcia’s ecstatic reaction on holing the winning put on the first playoff hole. Bravo to Augusta National and to Sergio’s 2017 Masterclass.